The Lodge is unavailable until further notice due to fire damage. New plans for the lodge are still being considered, so check back for updates. The Pool Side Meeting Room is available for all of your group/meeting needs! 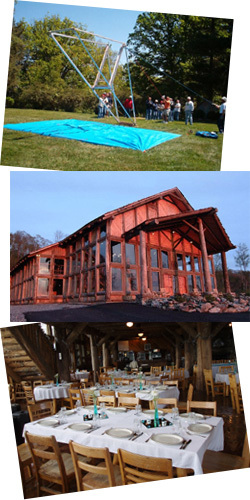 Business retreats and banquets, held in the serenity of nature, make for productive getaways. At The Lodge at Wolf Ridge and/or the Pool Side meeting room, you will find our quiet location, serene beauty and exceptional meeting facilities are ideal for all of your business retreats. For overnight stays, view our luxurious accommodations on the Cabin Rentals page. Each unit is designed to meet your every need. Spacious floor plans, kitchen facilities and great mountain views from each deck. Click here to inquire about how we can help make your special event a success. We will contact you to follow-up, or call for more information and event planning. Copyright © 2005 - 2019 Scenic Wolf Resort. All rights reserved.